Two initiatives and private-sector partnerships are making real headway in doing just that. And if these efforts are replicated at scale, they could have a national – and even international – impact. In large part because of Walmart’s demand for more sustainable row-crop production, food companies such as Campbell’s Soup, Unilever, Smithfield Foods and Kellogg’s are helping the farmers in their supply chain to reduce fertilizer loss through a rapidly growing program called SUSTAIN™. Spearheaded by the ag retail cooperative United Suppliers, now part of Land O’Lakes, the plan is to have 10 million acres of farmland using best practices for fertilizer management and soil health by 2020. SUSTAIN works by training ag retailers in the best practices and tools for fertilizer efficiency and soil health. The retailers then share this knowledge with the customers they serve. This model can reach thousands of farmers across millions of acres. Precision agriculture tools can help farmers meet the growing demand for sustainably grown row crops, but it’s difficult to tell which tools perform as advertised. That’s why EDF developed NutrientStar, an independent program that assesses the fertilizer efficiency claims of products on the market. With NutrientStar, farmers gain confidence that the nutrient efficiency tools they purchase will work as advertised, and keep fertilizer in the soil. 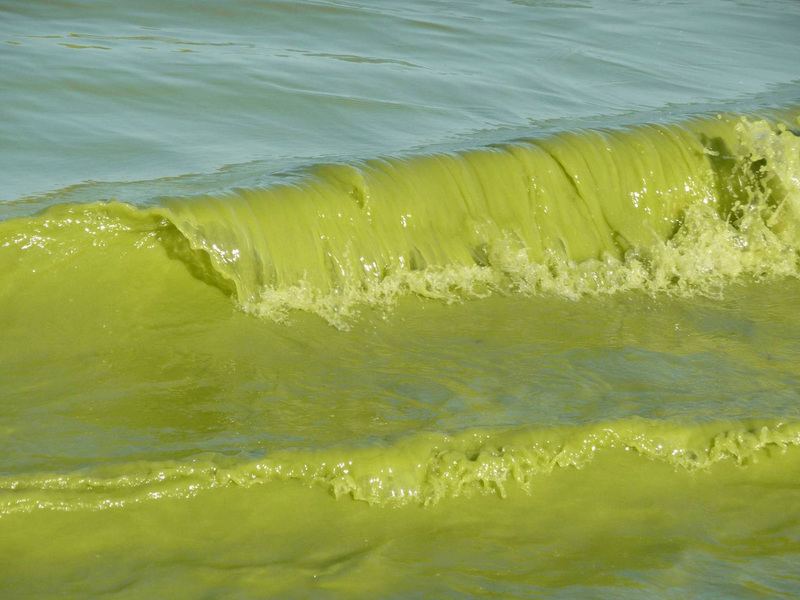 So what will it take to scale up the programs that help farmers and reduce algae blooms? Supply chains are a powerful tool for igniting change and taking it to scale. Companies can signal that fertilizer efficiency and good soil management are not just good for the environment, but also for improving a farmer’s yields and bottom line. 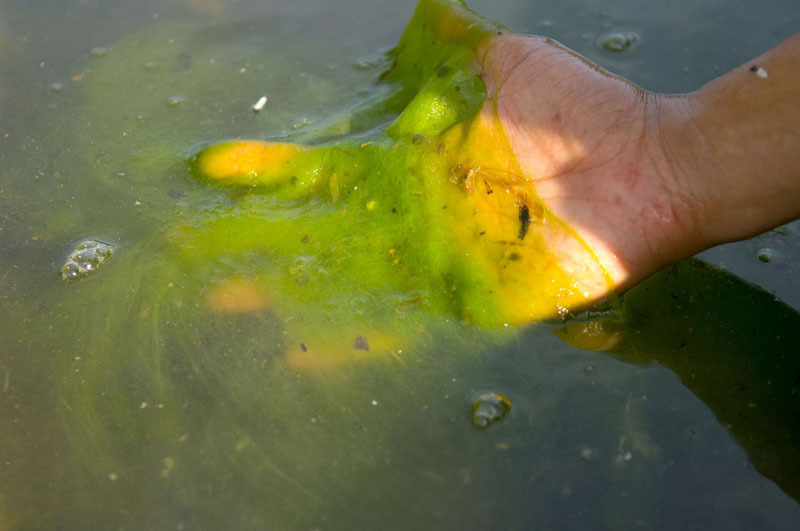 But to get a handle on our growing algae problem in the United States and overseas, there is no one silver bullet. We need more food companies to embrace sustainable sourcing, ag retailers to replicate the SUSTAIN model in order to reach millions of growers, farmers to use NutrientStar to understand how tools perform out in the field, and agricultural policies to align with and accelerate adoption of conservation best practices. To turn these initiatives into tangible environmental improvements at scale, we also need to work with and not against farmers and agribusiness. The people who feed our rapidly growing population – and the companies that support them – must be, and are, our most important allies. Want to bring ag sustainability to scale? Collaboration, not confrontation. This entry was posted in fertilizer, Supply Chain, Sustainable Agriculture and tagged agriculture, algae, algae bloom, Campbell's Soup, environmental defense fund, farmers, fertilizer efficiency, Florida, Kellogg's, Lake Erie, Land O'Lakes, nutrient efficiency, nutrient management, NutrientStar, Ohio, pollution, runoff, Smithfield Foods, supply chain, supply chain sustainability, SUSTAIN, sustainable agriculture, sustainable supply chain, toxic algae, Unilever, United Suppliers, Utah, Walmart, water pollution, water quality. Bookmark the permalink. Both comments and trackbacks are currently closed. We evaluated infiltration rates and soil bulk densities. In addition to creating excessive runoff these compacted soils restrict replenishment of water and air deep,into,our soils. Our groundwater supplies are NOT being replenished. Ever dig into a lawn, you may mind moisture 1-4″ in the soil but beyond that deeper into the subsoil it is always dry. why? The compacted soil restricts rainfall from moving deep,into the soil. Thus we have very shallow soils, much of the rainfall runs off and the remaining water is evaporated from the topsoil in a few days, and homeowners must irrigate more frequently because their lawn grasses cannot develop deep rooting systems due to compaction. We have permanently altered the hydrologic process when we disturb natural soils. Thanks for the study information. I always appreciate being able to cite the actual research. Please help stop the waste and runoff of fertilizers in our water ways. For my part, our unfertilized, untreated, 120+ years old lawn is a three foot thick sponge, my long driveway is permeable gravel, the rainwater runoff from my roof is stored in a 200-gallon cistern and excess returns to the creek through drainage tile. I intend to share this article with the farmer who rents our 40 acres of prime Illinois farmland, because I’d like to see it managed with the most effective and sustainable practices available. When I hand it off to my children and grandchildren I want it to be as healthy and productive for them as it was when my great-great-grandparents started farming here. That’s a 2000 gallon cistern, not 200, in my comment above.